Even if you’re not particularly interested in the investment component of game collecting, familiarizing yourself with the prices is an important step in getting the most from your money. 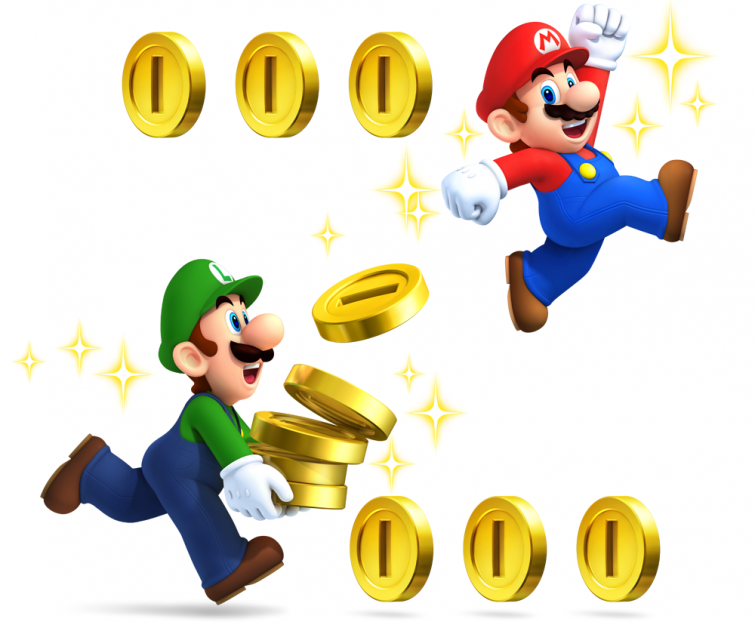 For this post, I wanted to first briefly mention the most effective way to gauge the value of a game, then discuss several more specific tips that will help you make sense of all of the variables that make up a game’s value. So firstly, the best places to look for the value of a game is eBay and Price Charting. eBay will show you the most accurate and updated value of an item based strictly on what buyers are willing to pay for it. In order to access listings for items that have already ended, search and item on eBay and in the preferences section, click “completed listings.” This will show you all of the items that were already listed, if they sold and how much they sold for. Price Charting is what most retro game stores use to price their inventory. It is a more simple way to search for value, but it has its fair share of pros and cons. Price Charting factors in the prices of games sold on Amazon as well as eBay. This can be helpful, because Amazon operates similarly to a retail store. Amazon will frequently have sales on new items, which is eventually reflected on eBay. Additionally, Price Charting provides values for loose, complete and new games. And it’s updated every day with games from almost every console. The downside of Price Charting is that it also accounts for the third party sellers on Amazon who list games for inflated costs. This explains why the value of games on Price Charting can sometimes seem outrageous, especially complete games. So if you see a game on Price Charting and it just doesn’t look right, double check on eBay. The value of games is constantly changing. In fact, some games can experience drastic changes in a matter of days. Before Fire Emblem: Awakening was released, I purchased a copy of Fire Emblem: Path of Radiance for about $25, which was the market value at the time. But after Awakening was released, a surge of new players wanted to experience more games in the franchise, which brought the value up to about $75. Similarly, the release of Pikmin 3 brought the value of Pikmin 2 on the Wii from about $10 to $40. So never assume that just because you knew the value of a game a year ago that it hasn’t changed. Different variations of games differ in value. I recently witnessed a costumer at my local used electronics store stubbornly argue with the manager about how ridiculous it was that their black Wii consoles were priced ten dollars more than their white ones, despite both systems offering the same features. What this customer couldn’t seem to understand was that preferences that might seem illogical have notable impacts on value. Almost always, games that are “Greatest Hits,” “Player’s Choice,” or “Platinum Hits” will have lower values than their first release counter parts. Condition matters. This one should be obvious, but a lot of people have a hard time accepting it. Games, consoles and accessories don’t always age well. And when you can purchase a Super Nintendo console in great condition for $40, the same console that has yellowed over time isn’t going to be worth the same amount. Even if I can find a really rare game that I need in my collection, I won’t keep it if it has label damage. If you have a smart phone, keep Price Charting bookmarked and download the eBay app. If you don’t always know how much an item is worth, don’t be afraid to covertly pull out your smart phone and verify the price. It’s better to take the time to confirm the value than to overpay. Rare doesn’t always mean valuable. This is an enormous misconception in the gaming community. Just because there aren’t a lot of copies of a game available, doesn’t mean that it’s worth a lot of money. In fact, often the reason that an item wasn’t mass produced was because there simply wasn’t a big enough market of people who wanted it. Never assume that just because an item is rare that it’s valuable. And never assume that because a seller says its rare that it actually is. Quality doesn’t always mean valuable. Yes, this seems to contradict my last tip. But the value of anything depends on supply and demand. It’s simple economics. In the case of not all rare games being valuable, a small supply and no demand will yield a low value. Similarly, a massive supply and a medium-size demand will also yield a low value. Games like Sonic the Hedgehog, Super Mario Bros and Tetris are some of the greatest games of all time, but because they came bundled with most systems, they’re ubiquitous. Researching values can be time-consuming and tedious. But for anyone who’s serious about collecting, researching the value of games is the first step in assuring that you’ll be equipped with the knowledge to find games for a good price. Since the value of games is a complex subject, expect more collecting tips on this topic in the future. In the meantime, stay tuned to Retro Chronicle next week for a tip on where to look for games. To check out all collecting tips, click right here.